OLD PARKED CARS. 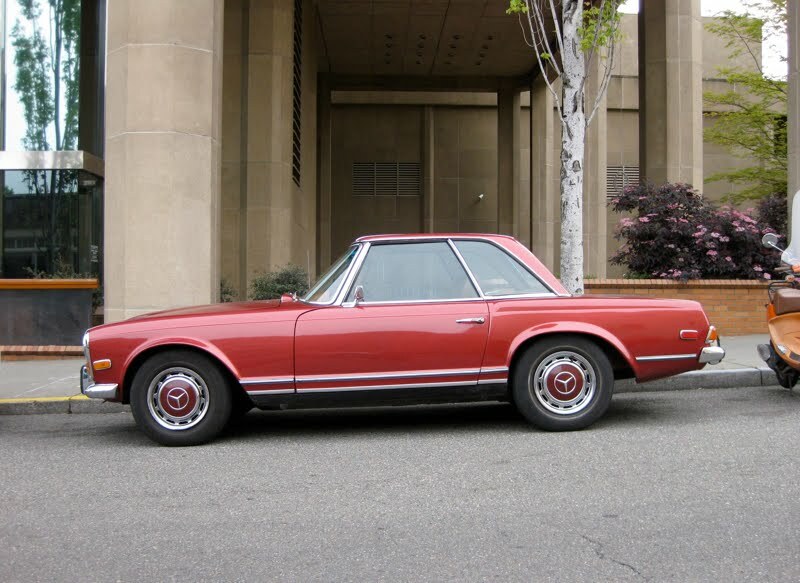 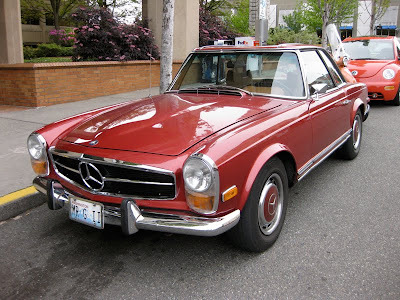 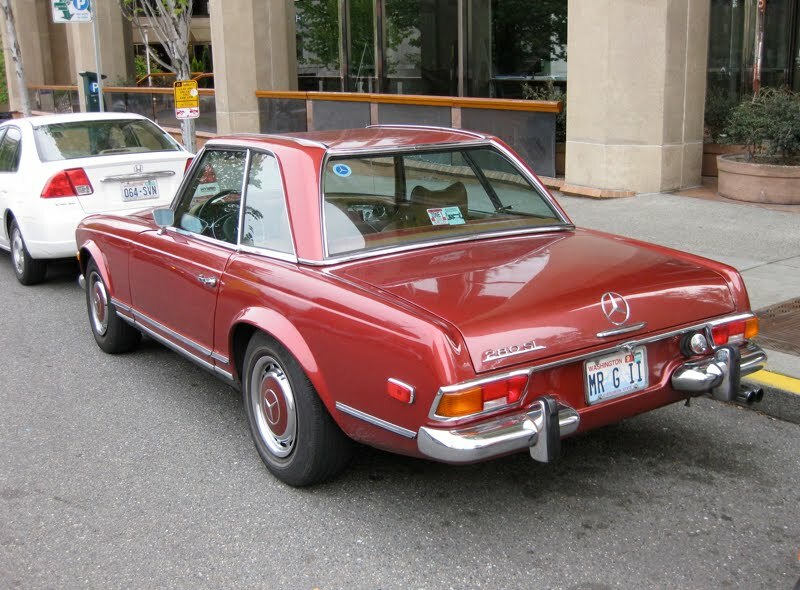 : 1970 Mercedes-Benz 280SL. Love that retro 50's styled front.